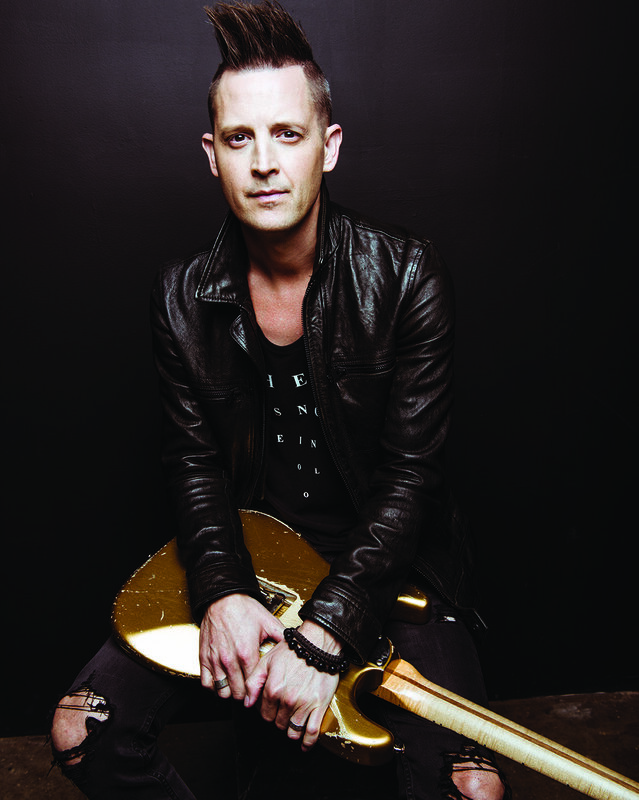 For as long as he can remember, music has been an integral part of Lincoln Brewster’s life. By age two, he was using broken drumsticks to keep time at his mom’s band rehearsals. At age five, he was playing the mandolin for tourists in a port town in Alaska. And by age nine, he had picked up the electric guitar. But music wasn’t just a fun hobby for a bright kid. It was a refuge for Lincoln and his mom in a home plagued by substance abuse and domestic violence. By his mid-teens, the family had reached a tipping point and Lincoln watched as his mother went through a painful divorce that forced the family to relocate to California. Though he was torn from his hometown and friends, he once again found hope in music. He continued to hone his guitar skills, recording a demo that caught the attention of music industry insider and former “American Idol” judge Randy Jackson. That led to an invitation for Lincoln, then age 19, to tour with legendary rocker Steve Perry. Lincoln, who had accepted Christ before beginning work with Perry, eventually walked away from mainstream music, taking a job at his local church. That change in trajectory would lead to ministry opportunities he could never have imagined, including a recording career with Integrity Music and his current role as a senior pastor at Bayside Church near Sacramento, California. Years after leaving behind his rock star dreams, this husband and father once again finds himself sharing music with capacity crowds at concerts and festivals, this time leading them in worship with songs like “There Is Power,” “Made New,” “Today Is The Day,” “Let The Praises Ring” and “No One Like Our God.” His songs have been featured on 10 albums including his latest, God Of The Impossible, a reminder that God is bigger than anything we face and nothing can separate us from His love. It is a theme that echoes throughout Lincoln’s life: from a childhood overshadowed by abuse, to a life filled with forgiveness and a ministry that has inspired believers around the globe. To use Lincoln's POD Patch Library you will need a Line6 product compatible with a PODX3 or PODxt Live tone library. (PODxt, PODxt Live, PODxt PRO, POD X3, etc.) Plus, you will need to download the free software "Line6 Monkey" fromwww.line6.com Line6 Monkey will allow you to backup, restore, and load entire libraries. Note: Lincoln's main patches are 18B, 18C, and 18D. Happy tone hunting!